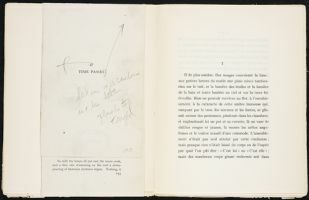 The Frances Hooper collection contains the printed English page proofs of To the Lighthouse with Woolf’s corrections in violet ink, and printer’s annotations in pencil throughout. 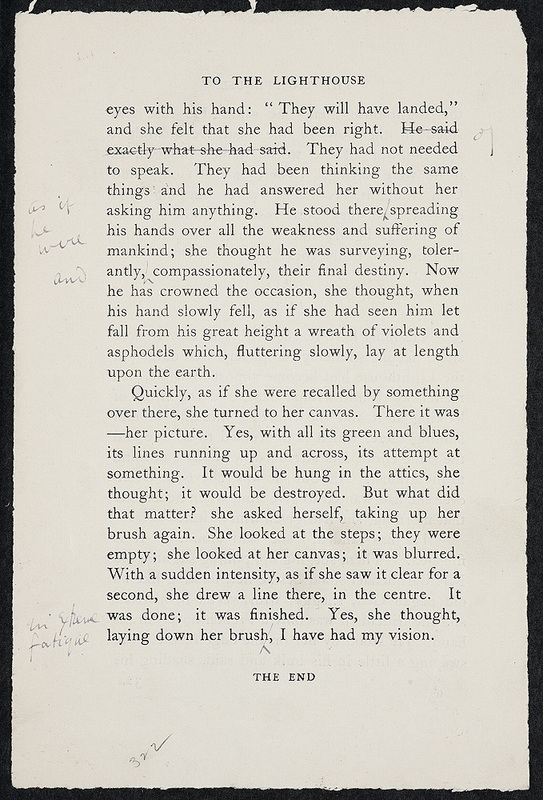 Woolf was in the unique position of writing, editing, and publishing her own works. 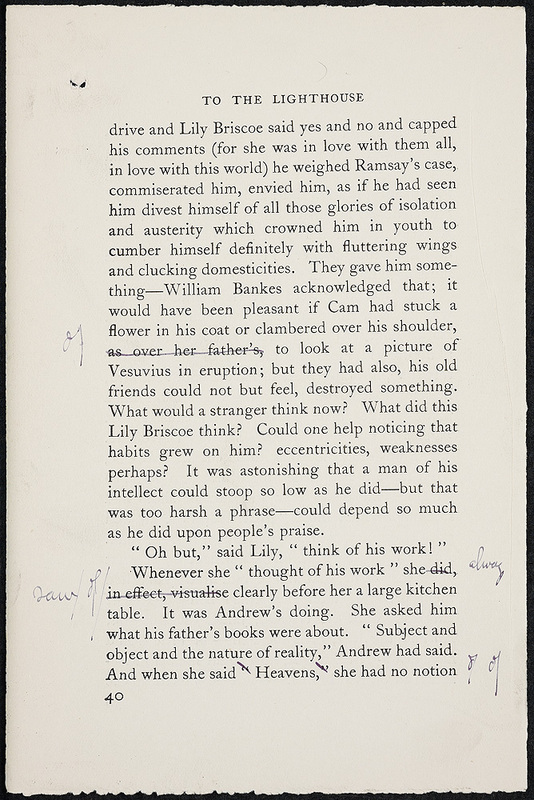 However, some of the copy editor’s suggestions for the American edition may not have had Woolf’s approval. 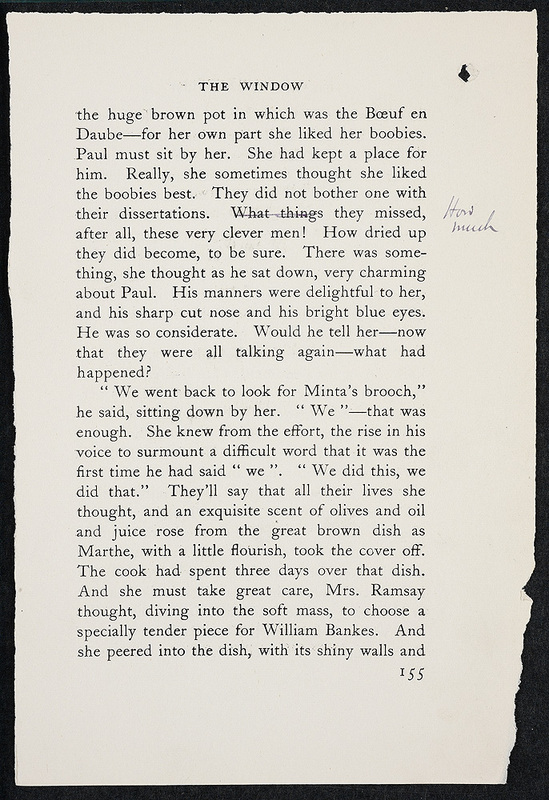 For example, the printer of the American edition italicized “To” and placed the word on its own line, changing the emphasis of the title. 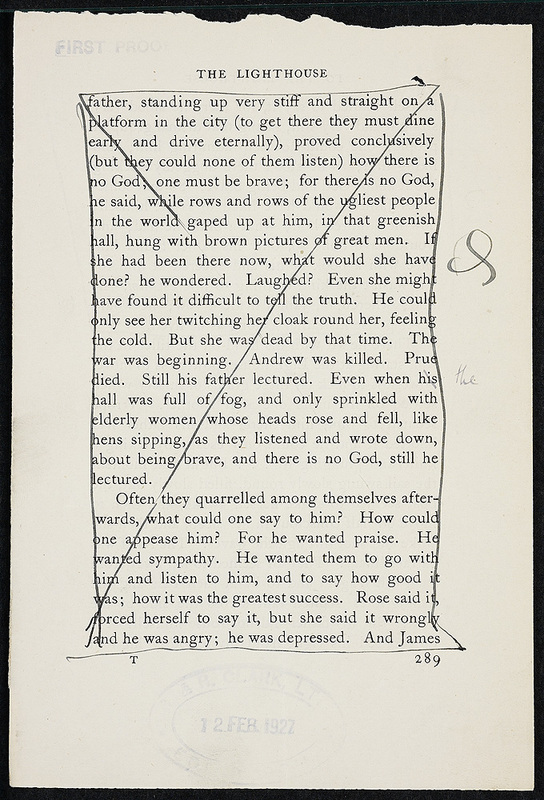 Sample pages of the triadic structure of the novel are on display: Mr. Ramsay’s obsession with realism, and Mrs. Ramsay’s dinner party from “The Window;” the beginning of “Time Passes”; a deleted passage and the last pages of “The Lighthouse.” After Woolf finished the first draft of To the Lighthouse in October 1926, she arranged for a French translation of the “Time Passes” section of her novel in the French periodical Commerce. It was published in the winter 1926 edition of the magazine. 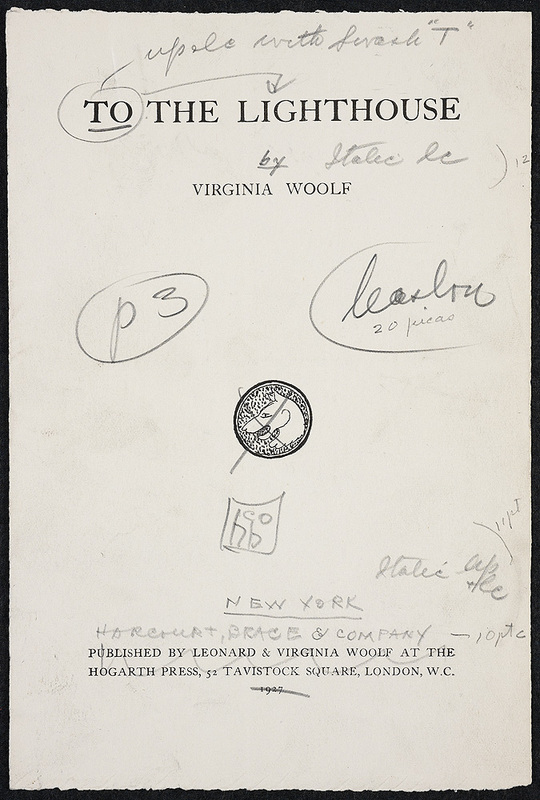 “Le temps passé,” one of Woolf’s most abstract pieces of writing, describes the world without a self. Virginia Woolf. “Le temps passé.” Paris: Commerce, 1926. 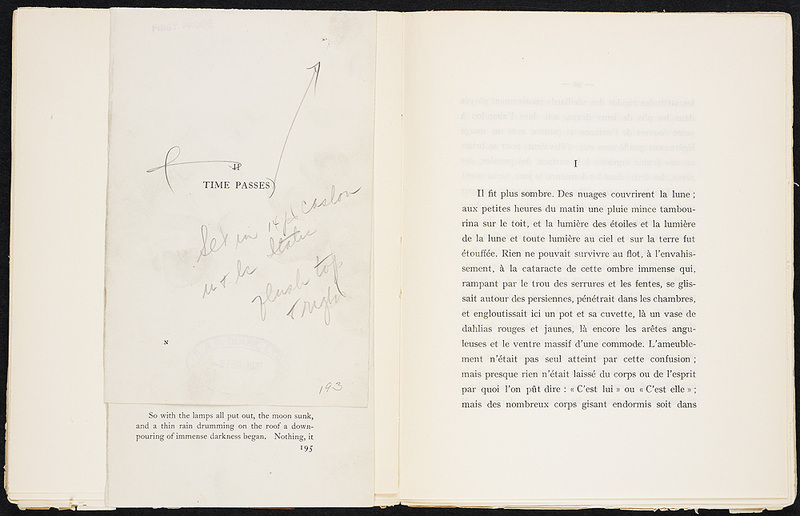 Translation by Charles Mauron of the “Time Passes” section of To the Lighthouse. Presented by Kimball E. Higgs. 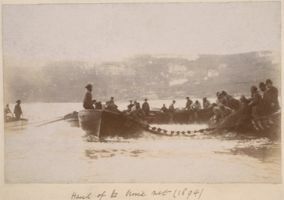 A reproduction of St. Ives Bay from Leslie Stephen’s photograph album is on display below. Talland House, which the Stephen family leased from 1882 until 1894, overlooks the bay and Godrevy lighthouse. 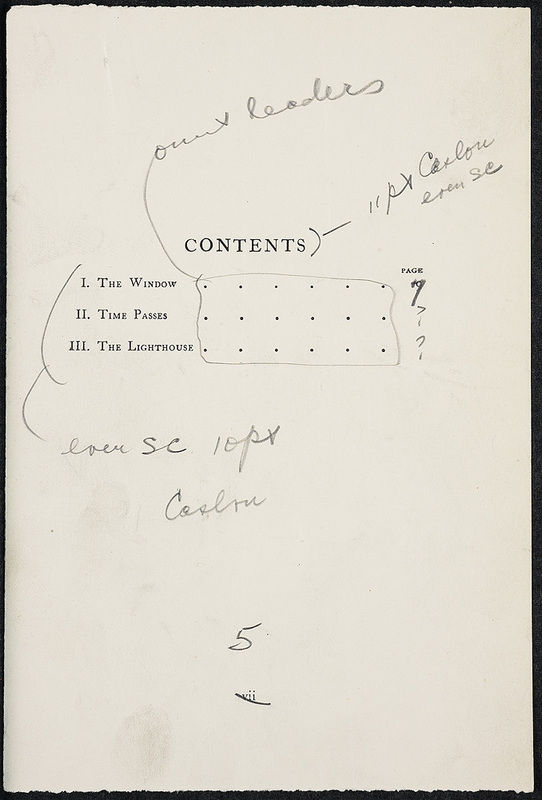 Woolf visited Cornwall a total of nine times between 1894 and 1927. 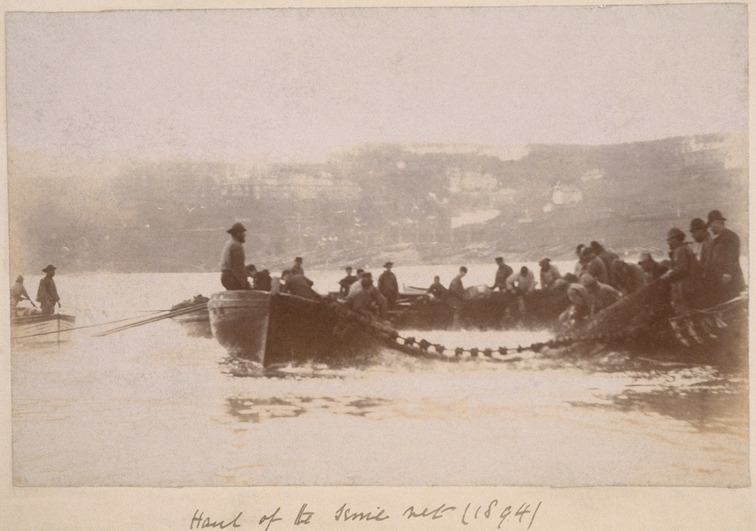 St Ives Bay: photograph, 1894.
presented by Quentin and Anne Olivier Bell.